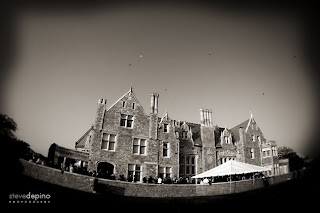 Unique Venues . . . . Love 'em? Hate 'em? Regardless of opinion, almost all the couples and vendors we meet with have something to say about them. It's true, Talia and I work at a lot of unique venues for the most obvious reason that often there is more of a need to have a coordinator to serve as the main contact for the venue, caterer, rentals and all other vendors running around. What truly sparked this post were two back to back weddings at unique venues we worked this May: Eolia Mansion at Harkness Park (our first of two weddings there this year) and Branford House Mansion (our fourth and still loving it). Holy moly, these places are gorgeous and we had such a blast executing both of their events. Here is a photo courtesy of Steve DePino from a Branford House Mansion wedding we worked this past October . . sigh. I, for one, absolutely adore unique venues, especially since I was married at one. More work? Absolutely! More expensive? More likely than not (ugh, I know). The ability to make the day 100% yours? You betcha. Pros: The ability to design your day as you please from menu to decorations. If it is a tent, it can be anything you want it to be. If it is a mansion, your wedding can be like hosting a fancy dinner party. Working with a caterer allows you 100% customization of menus, which is fabulous for foodies. Guests often love unique venues because it gives them the opportunity to walk around and explore the property or perhaps peruse an art gallery. 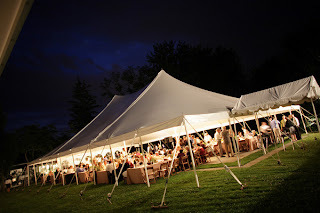 With unique venues, you are not constrained by requirements set at standard banquet facilities, such as your reception must be from 6 pm until midnight, your vendors only have one hour to decorate, and you need to garantee a minimum of a certain number of guests, which may not work with your guest list. These alone make unique venues extremely appealing. Cons: Price is a large consideration, and cannot be taken lightly. For weddings of similar guest list, unique venues can often cost double to price. While we always say that the weather is one thing you just don't have control over, this becomes even more critical for unique venue or tented receptions. Relying solely on outdoor spaces, or the combination of indoor and outdoor spaces, plans can change drastically in an instant when faced with inclimate weather. Of course, much of the inclimate weather "cons" can be resolved with additional tenting, , flooring, tent sides, etc, all of which add to the elusive price factor. One make or break con that we see all the time is the Separation of Guests. Some really like the idea of separate and unique rooms, where groups of guests can be joined, each space decorated specifically for those guests or that space. It can be quite lovely, but at the same time, needs real buy in from everyone involved. It is true, not all guests can sit at their tables and watch your important dances or traditions, not all can be in viewing distance of the band or dj, and not all will be seated in the same room as the bride and groom. Happy Anniversary Heidi and Ed!